Συνεχίζοντας τη φρενίτιδα των παρουσιάσεων για την εντυπωσιακή έκθεση της SEMA, σειρά παίρνει η Acura που έχει πάει τρία διαφορετικά concepts για τη περίσταση. Πρώτο είναι το RLX VIP sedan που υπεύθυνοι είναι οι μηχανικοί της Εvasive Motorsports και διαθέτει αρκετά μέρη από carbon, ενώ έχει νέα σπορ εξάτμιση, φρένα υψηλών επιδόσεων και ζάντες αλουμινίου 21 ιντσών με ελαστικά της Continental. Ακολουθεί το RLX Urban Luxury sedan, το οποίο είναι πιο συντηρητικό, ενώ είναι ντυμένο με μαύρο ματ αυτοκόλλητο βινυλίου. Ακόμα διαθέτει μια πίσω αεροτομή και ζάντες 22-ιντσών της Niche Apex-M125. Στο εσωτερικό οι αλλαγές είναι περιορισμένες, αλλά η καμπίνα είναι επενδυμένη με μαύρο ματ μεταλλικό φινίρισμα. Τελευταίο, είναι το Street Performance ILX, το οποίο έχει σχεδιαστεί για τον οδηγό που θέλει ένα διασκεδαστικό αυτοκίνητο τόσο για την πόλη όσο και για το βουνό. Φοράει αυτοκόλλητο βινυλίου σε χρώμα χαλκού και τα επίσημα αξεσουάρ από τη σειρά Acura Genuine Accessories body kit. Κάτω από το καπό βρίσκεται ο 2,4-λίτρων τετρακύλινδρος κινητήρας που χάρη στις στο κομπρέσσορα της CT Engineering, την επαναπρογραμματισμένη ECU και τη νέα σπορ εξάτμιση αποδίδει πλέον 250 άλογα. 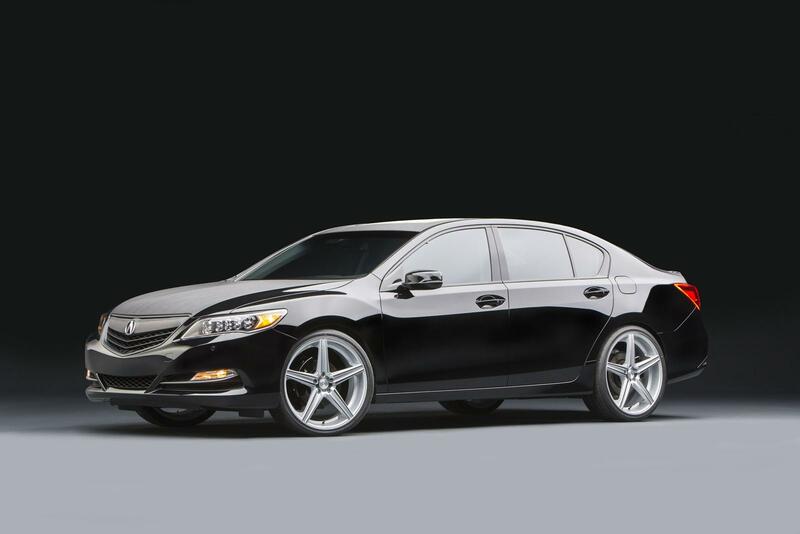 Acura today unveiled three customized sedans at the 2013 Specialty Equipment Market Association (SEMA) show in Las Vegas, including the Acura RLX VIP Sedan, created by Evasive Motorsports, the RLX Urban Luxury Sedan and Street Performance ILX, both created by MAD Industries. 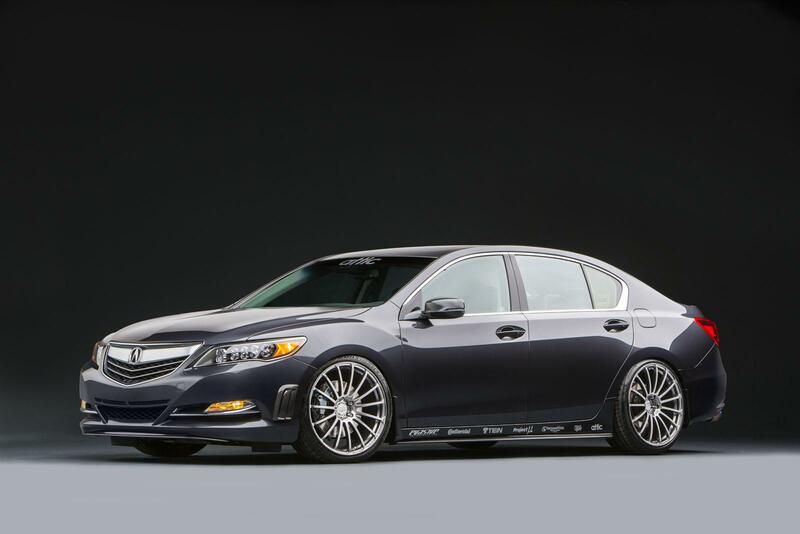 Acura engaged MAD Industries and Evasive Motorsports, both located in Southern California, to use Acura sedans as the platform to create even more exciting and dynamic custom vehicles. 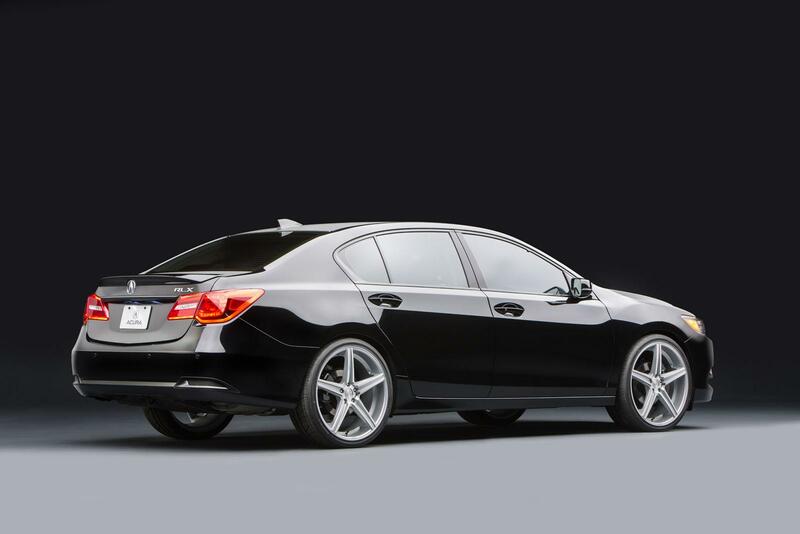 2014 Acura RLX VIP Sedan Evasive Motorsports created an Acura RLX VIP Sedan that is equally comfortable for daily commuting, or as a stylish upgrade for an evening on the town. The design includes a custom carbon fiber front bumper lip and vents, a modified rear bumper and fabricated exhaust system with titanium tips. 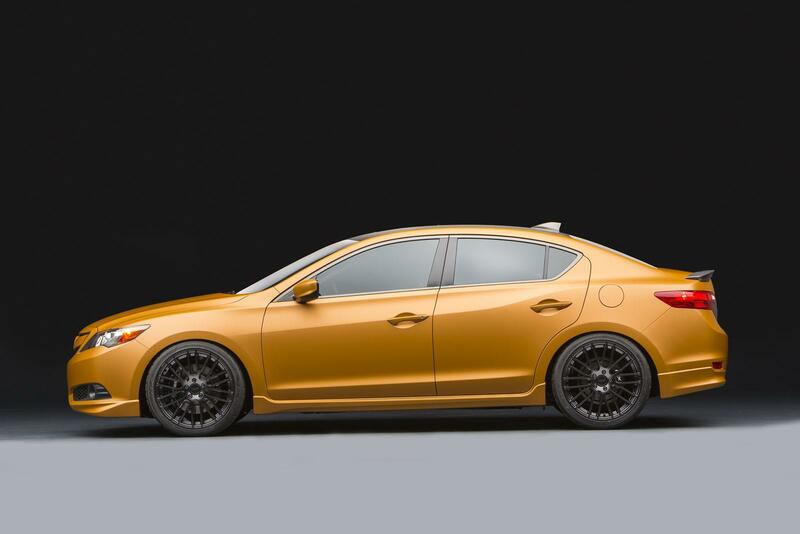 Chargespeed side skirts combined with a deck lid spoiler and splash guards from Acura Genuine Accessories round out the body modifications. Nano-Fusion Film is used to protect paint on the front end. 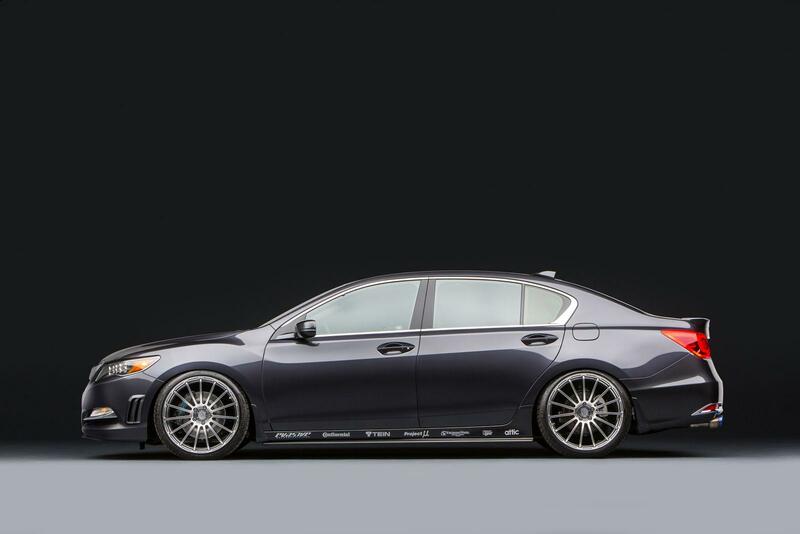 The wheels are 21-inch Advan F15 models wrapped in 245/35ZR-21 Continental ExtremeContact DW tires, both contributing to the VIP look. 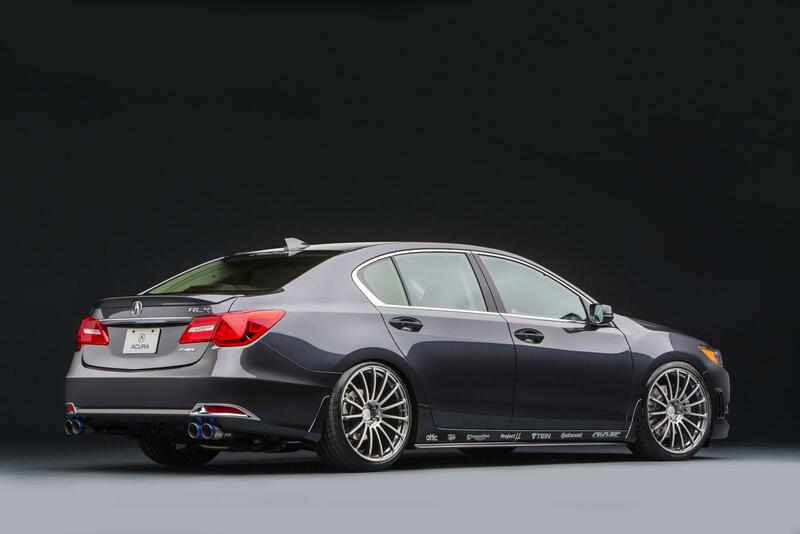 Prototype Tein Street Flex coilovers allow lowering of the RLX body. Four-pot Project Mu calipers and brake pads, and Evasive-spec brake rotors sit behind the front wheels. In the cabin, custom neck pillows wrapped in Jordan Brand-inspired elephant print add luxury and style. 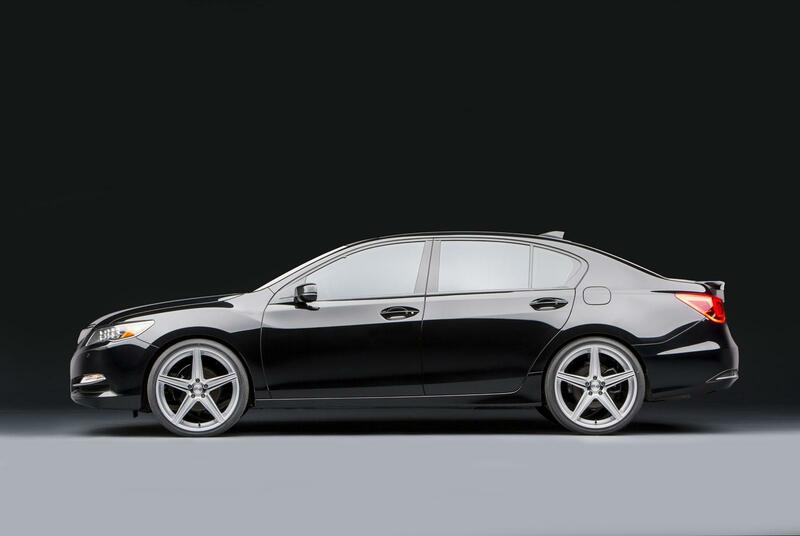 The 2014 Acura RLX Urban Luxury Sedan, by MAD Industries, is designed to appeal to the driver looking for a performance luxury sedan for every day needs. For the exterior, an Acura Genuine Accessory decklid spoiler and 3M 1080 Scotchprint wrap film, in brushed black metallic with gloss black accents, create a bold but refined look. 3M Color Stable window film completes the appearance creating a modern urban style. Silver 22-inch Niche wheels wrapped in Nitto Invo tires add an aggressive element to the stance. Complementing the wheels, MPG custom satin black caliper covers finish off the exterior details. Inside, a contemporary feel is created by 3M brushed black metallic film door and trim accents. Acura Genuine Accessories deck lid spoiler. The Acura Street Performance ILX, by MAD Industries, is designed to appeal to the enthusiast looking for a fun car that feels at home on city streets or a curvy mountain pass. Wrapped in matte copper metallic and accented by matte charcoal metallic 3M Scotchprint 1080 film, the ILX stands out from the crowd. Acura Genuine Accessories aero kit is tastefully matched to a set of 19-inch TSW Max wheels wrapped in Nitto NT05 Max high performance tires. 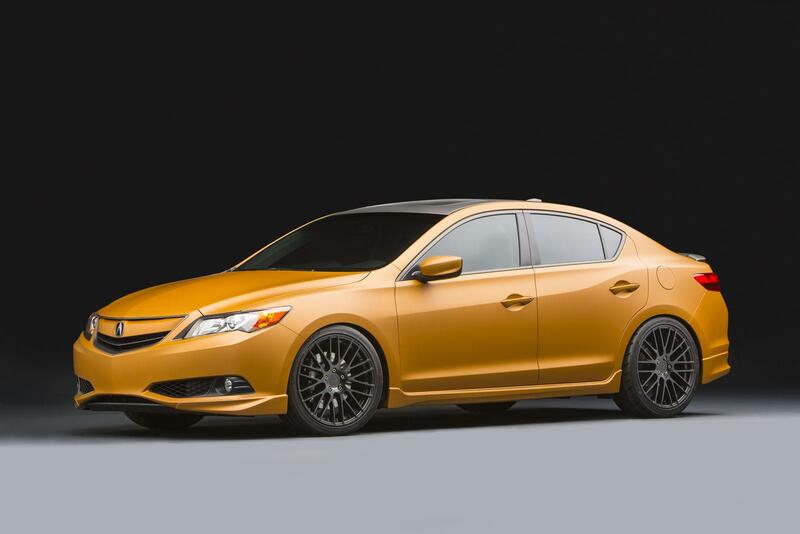 Tein Super Street coilovers give the ILX an aggressive stance while improving dampening during spirited driving. 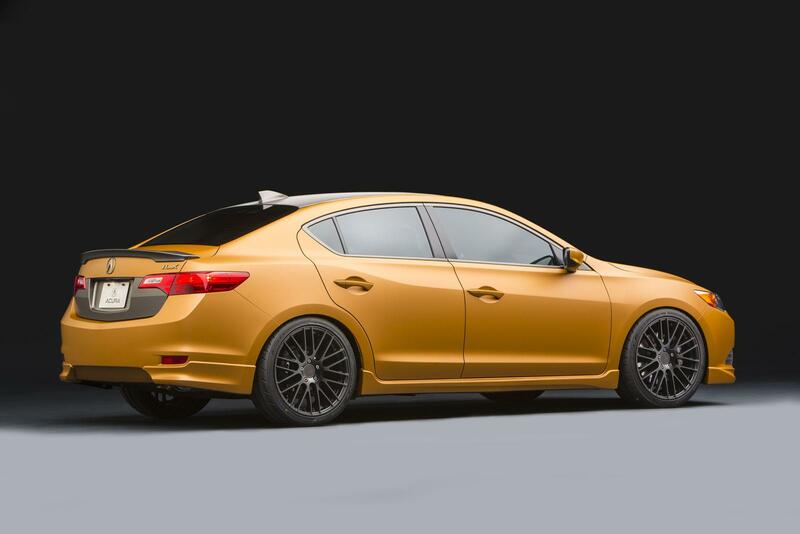 Under the hood, a supercharger kit from CT Engineering and an ECU tune with Hondata’s FlashPro helps the ILX’s 2.4-liter Inline-4 pump out 250 wheel horsepower. The prototype SP Elite exhaust from Greddy adds a throaty exhaust note. PIAA 9006 low beam and 9005 high beam Extreme White headlight bulbs. H11 fog lamps and Terra LED dome light bulbs.